Yay its Friday at last. I really can't wait for my weekend lie ins. Before we got Luna i could lie in all day Now she's like a baby, she will cry at me or jump on until i get up. I don't really mind as she is so much fun and keeps me smiling. We have stuck with the Vets instructions, feeding her Chicken, Tuna, Rice & Pasta, she is finishing her plate, taking her medicine and improving every day. 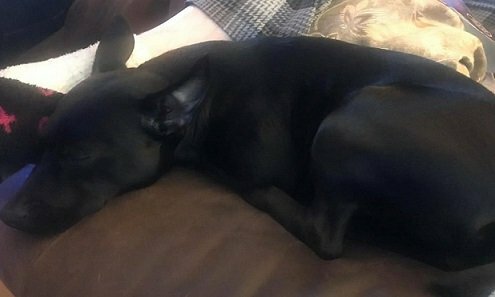 At the minute she is sound asleep with a belly full of Chicken. I am back on my diet plan, i have had a few weeks of being relaxed, trying to find my diet mojo, well its back. I have stuck to 800 calories each day starting from Monday. 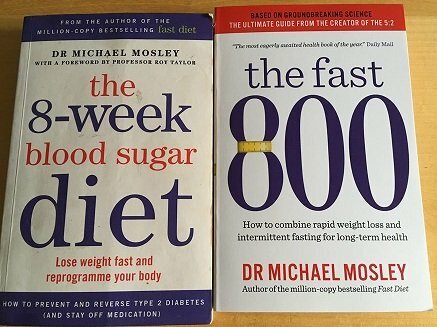 I am going to continue on The Fast 800 for a couple of weeks to give my body a boost which will hopefully get the fat moving out. I have lost just over 50lbs so far, i still have couple of stone to loose. My goal is to lose another stone hopefully more before my birthday in May. 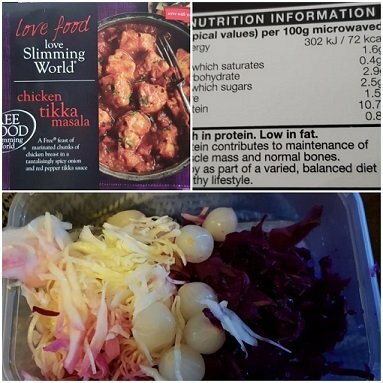 Friday night is takeaway night, hubby wanted a Indians, Nichola wanted a salad with a few side dishes, I ordered a pickled salad to go with my frozen Slimming World meal that i had bought in ready for tonight. My meal added up to 400 calories. I will have enough for later in case i get peckish I could have some Berries & Greek Full Fat Yogurt. This plan works for me, even on the weeks i was more relaxed i still tried to stick with what i can eat. Its normal now to go for the food i am allowed to eat, I am not tempted to go for a slice of bread or have potatoes, Rice or Pasta on my plate whereas before i used to crave these foods. I have to keep reminding myself to drink more water, I am getting better but still can go a few hours without a drink. I intend to stick with this for as long as it takes, i will release the slimmer me, she is coming out of her shell. Glad the diet and meds seem to be working on Luna hopefully this will solve the problem's shes having. Looks yummy @karenb54 and are those pickled onions? No shell shall keep the slimmer you from emerging :) Just like spring, there is no holding back! Glad to hear Luna is coming along nicely as well! You really are doing amazingly! Honestly you are really an inspiration!